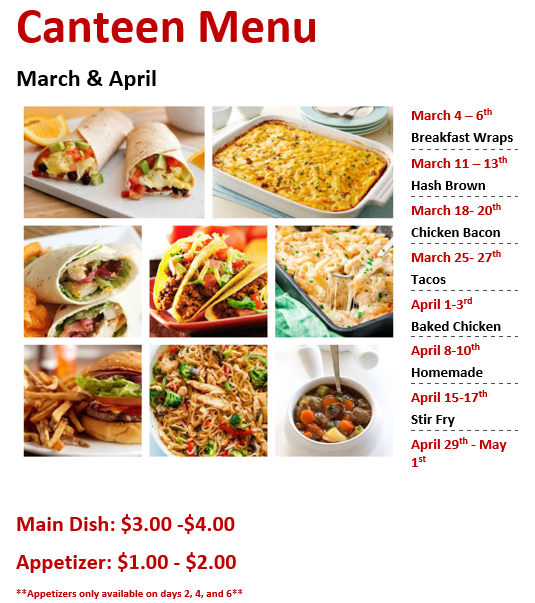 ​Our canteen items are prepared by our PAA 10 class and are available Monday-Wednesday each week. Check out the new schedules for gr. 7-12 students in our "Our School" section of the website! ​Gr. 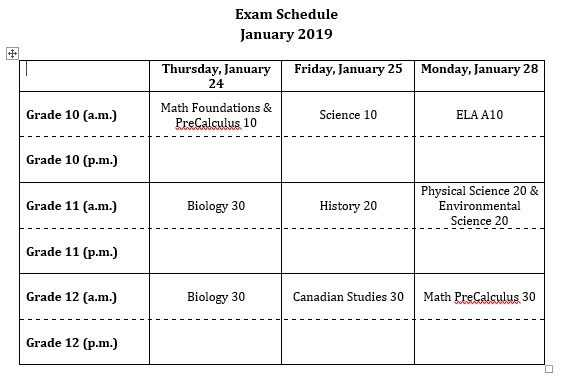 10-12 students will be writing exams Jan. 24-28th. There will be no school for all students on January 29th as it is semester turnaround day. Semester 2 will begin on January 30th.